and Celebration for The 2011 New Fellows. 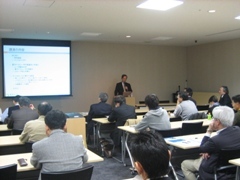 IEEE Tokyo Section will host The 2011 Annual General Assembly, The 2011 First Commemorative Lecture and Celebration for The 2011 New Fellows. The 2010 Fifth Commemorative Lecture of Tokyo Section was held on Thursday, December 16, 2010 at 2:00 p.m. in UDX Conference Room D.
Dr. Yasuhiko Arakawa (The University of Tokyo), recipient of the 2009 IEEE David Sarnoff Award, gave the lecture titled "Quantum dot: From Science to practical implementation". Historical development of research focusing on the semiconductor nanostructure quantum dots and quantum dot lasers with the latest technologies into practical steps such as application for the projector to the light green were presented. In addition, a single artificial atom laser and solar cell application were introduced as recent topics of basic research. There were 70 participants, and the discussion period has been very successful. 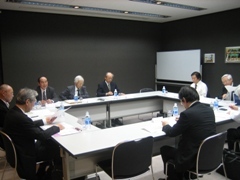 The 2010 Second Meeting of Japan Council Chapter Operations Committee was held on Friday, November 19, 2010, from 3:00 p.m. at Kosai Kaikan. The Sixty-one members were participated. 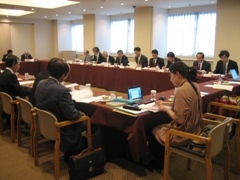 The 2010 activities of the Japan Council were presented by the Secretary. The 2010 activities of the Chapter Operations Committee were reported by the Chair. The number of supported projects using the chapter operation fund was 83. The activities from June to October 2010 were also reported by each chapter. The 2010 Japan Council Long Range Strategy Committee (LRSC) was held at Tokyo International Forum from 3:00p.m on Firday, December 3, 2010. The minutes of the last LRSC meeting was anonymously approved. Following the last meeting, LRSC listed up potential volunteers who were very active in several societies. Althogh the list is limited to the several societies, it is very valuable in society level when we plan to assign an appropriate person to the appropriate job in the society activity. >From this standpoint of view, LRSC is not intend to arrange this kind of list for all societies. Then LRSC reviewed its past two years activities and the followings were listed as continued projects. 1. Continued study of the list to promote volunteers. 2. Scouting the potential candidates at higher ranks than the society level. 3. Reconfirmation of the mission of Japan Chapter. 4. Confirmation of Japan Council role among new committee members everytime the members change. 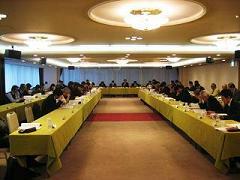 The 2010 Third Meeting of Japan Council Executive Committee was held on Tuesday, December 14, 2010, from 3:00 p.m. at LEVEL XXI Tokyo Kaikan, Tokyo. 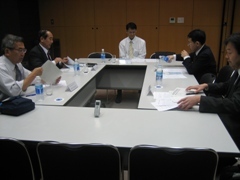 The First 2010 Japan Council Award Committee (AC) was held at Tokyo International Forum from 3:00 p.m on Monday, December 20, 2010. Addresses were given by Dr. Suemastu, Chair, Awards Committee. Dr. Aoki, Secretary, Awards Committee, reported activities of Awards Committee. 1. We are preparing introduction of IEEE Medals & Awards in Japanese with the help of committee members, and it will be on IEEE JC web site in due course. 2. The Awards Committee has proposed to JC executive committee that each section studies how to promote nominations as AC itself is not a body to do this work. 3. JC executive committee approved AC to work further 2 years (2011-2012). After having committee members information and comments, in conclusion, the AC will work for next two years to help implementing a scheme to promote awards activities in JC.